* “M0, 720 x 576 AVI” source upgrades of AMT #1 and AMT #2a of Den Haag 2002 surfaced. Thank you, Claus Laufenburg, Massimo Villani, and Stefan Beiersmann! * “EDIT” reassigned as “EDIT #1” on the “2002-06-07” table on the Den Haag 2002 concert page. * 2002-06-07 Den Haag EDIT #2 officially surfaced. Thank you, Claus Laufenburg, Massimo Villani, and Stefan Beiersmann! * “M0, 720 x 576 AVI” source upgrade of “Backwards” from AMT #1a of Zürich 2002 surfaced. Thank you, Claus Laufenburg, Massimo Villani, and Stefan Beiersmann! * “AMT” reassigned as “AMT #1a” on the “1983-08-24” table and AMT #1b added to the How to Destroy Angels 1983 concert page. * “AUD” reassigned as “AUD #1a” on the “1983-10-12” table and AUD #1b added to the Recession Studios 1983 concert page. * “M0, 720 x 576 AVI” source upgrade of AMT #2 of Leipzig 2004 surfaced. Thank you, Claus Laufenburg, Massimo Villani, and Stefan Beiersmann! * 2002-10-29 Vienna AMT #1 officially surfaced. Thank you, Claus Laufenburg, Massimo Villani, and Stefan Beiersmann! * “M0, 720 x 576 AVI” source upgrade of AMT #3a + AMT #3b of Vienna 2002 surfaced. Thank you, Claus Laufenburg, Massimo Villani, and Stefan Beiersmann! * Concert recollections added to the Leipzig 2001 concert page, courtesy of Markus Beiner. * Ticket scan added to the Glauchau 2002 concert page, courtesy of Markus Beiner. * Advert scans promoting and canceling the proposed “Seed Records 4th Birthday” 2004 gig added to Canceled Concerts page, courtesy of Michael Festerling. * “AMT” reassigned as “AMT #1” on the “2002-10-27” table on the Prague 2002 concert page. * “M0, 720 x 576 AVI” source upgrade of AMT #1 of Prague 2002 surfaced. Thank you, Claus Laufenburg, Massimo Villani, and Stefan Beiersmann! * “AMT” reassigned as “AMT #1” on the “2002-04-07” table on the Munich 2002 concert page. * 2002-04-07 Munich AMT #2 officially surfaced. Thank you, Claus Laufenburg, Massimo Villani, and Stefan Beiersmann! * “M0, 720 x 576 AVI” source upgrade of AMT #1 of Munich 2002 surfaced. Thank you, Claus Laufenburg, Massimo Villani, and Stefan Beiersmann! 14 years ago today, John Balance, the lead singer and visionary behind one of the best bands of all time, tragically passed away. Every year, several Coil fans and I like to honor him. 1 year ago today, Phil Barrington, Stefan Beiersmann, and myself decided to launch Live Coil Archive to do just that. It has been an eventful, wonderful year for us and we hope it has been for you too. Listening to the earlier Coil albums, John clearly never felt the need to sing a vocal to every single track they wrote. Instrumentals dominate many albums, especially “Stolen and Contaminated Songs” and the mid-90s releases pre-“Backwards.” When the first 8 T-ARCH CDs came out and most tracks included were early instrumental demos, with some exceptions like “Tiny Birds,” “Sodoma Atomicus,” and “Meet Murder My Angel,” that essentially confirmed in my mind that John didn’t record very many vocal demo takes – certainly almost none the band felt like keeping. Pleasantly surprisingly, it turns out this isn’t exactly true. When a small handful of anonymous donors very kindly gave LCA a collection of unreleased studio demos and outtakes for us to use in creative projects, which over the past year we have made into “Scatology Sessions,” “Hidden Hydrology,” “Wormsongs,” and now “Contaminated Apples,” I spent a great deal of time mulling over and organizing the tracks we were given. I found a couple of alternate vocal versions and mixes among the lot which were mysteriously not included on T-ARCH. Given the abundance of instrumental demo material already out there for the band, especially from Scatology, Horse Rotorvator, and Love’s Secret Domain, I felt obliged to provide this arguably more valuable vocal material to the public ear. So, I broached the idea of making such a compilation to Phil, and we worked it out. He and I discussed the title of the compilation for some time. The original title was just “1986-1991 Appendices,” then Phil came up with “Stolen Apples” as a reference to William Blake’s “The Poison Tree” poem and the abstract concept of “stealing human heads.” This made me think of the Coil album title “Stolen and Contaminated Songs,” and you can fill in the blanks from there. 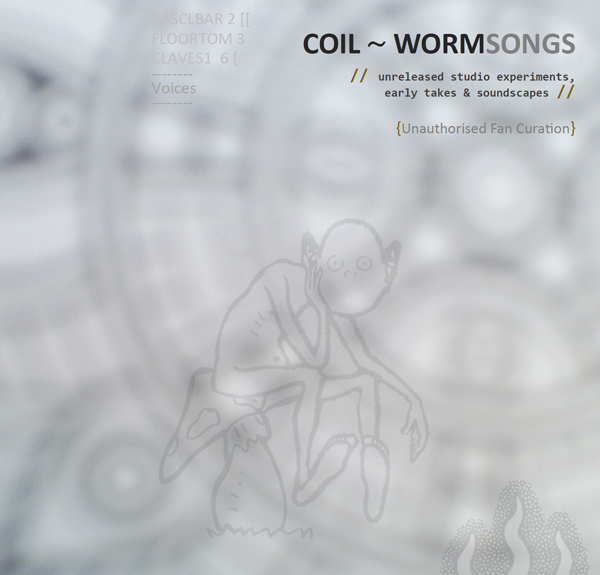 The humble aim of this curation is just to make as satisfying and listenable an ‘album-like experience’ documenting the creative processes leading up to the finalization of our favorite Coil studio songs. For as long as I have been a part of the Coil community, it has been made abundantly clear to me that this is the sort of thing most Coil fans want to hear – they feel a greater sense of personal attachment to the band when provided material which humanizes the band. These kinds of tracks show the blood, sweat, and tears John, Peter, Stephen, and everyone else put into making these songs, to providing the listener with as much emotionally resonant music as possible. It is our sincere belief that this creative process makes these tracks worthy for you to enjoy. Technically, this compilation contains mostly alternate mixes and vocal demos for Horse Rotorvator material, but I also found a couple tracks from the Hellraiser and Love’s Secret Domain-eras that I felt were equally as worthy. The Hellraiser and “Penetralia” tracks are the only instrumental songs, here – everything else has vocals. Includes a 22-page ‘CD booklet’ pdf written by myself and Phil Barrington, including background information, source notes, track-by-track notes, and transcribed song lyrics. This collected/curated form is released under Copyleft and Fair Use / Fair Dealing principles as a free/non-profit historical digital document, both for the COIL fanbase and as a relic of English alternative music history, November 13th 2018. * “AMT #3/4” reassigned as “PRO #1/2” on the “2002-04-06” table on the Bologna 2002 concert page. 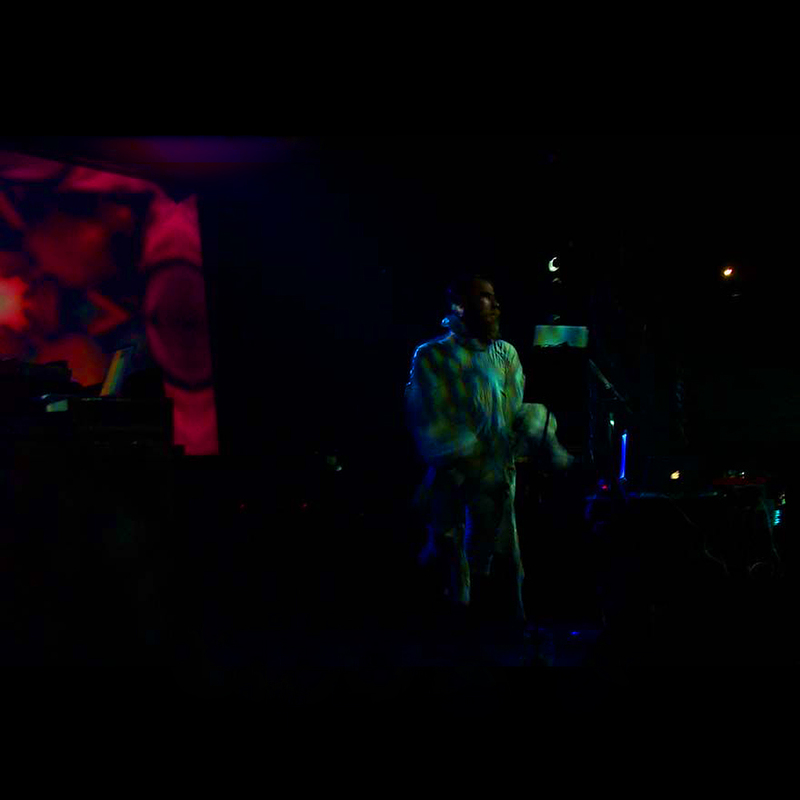 * 2002-04-06 gig footage from PRO #1/2 officially surfaced. Thank you, Claus Laufenburg, Massimo Villani, and Stefan Beiersmann! * “M0, 720 x 576 AVI” source upgrade of AMT #1, AMT #2, and PRO #1/2 of Bologna 2002 surfaced. Thank you, Claus Laufenburg, Massimo Villani, and Stefan Beiersmann! A free collection of mostly previously-unreleased studio tracks, soundscapes and experiments by COIL. I’ve curated this set for the COIL fan who appreciates the band’s more experimental side and who is interested in researching the ELpH period and beyond (accordingly, this is released under Fair Use/Fair Dealing doctrine for research and review purposes as a free fan-sourced collection exclusively on archive.org – see its pdf booklet for more background detail) – available to download now. The “WORMSONGS” title I’ve personally used for this unauthorised collection is inspired by a line of William Blake’s 1794 poem “The Sick Rose”, a rendition of which is performed by COIL on Track #15. Various ELpH Experiments, plus “Airborne Bells” (bell-less ambient take), “Elves” (a frantic take with erratic live drums), “The Sick Rose”, “Is Suicide A Solution?” (an ambient guitar take – no vocal samples), and an untitled “ELpH vs Suzanne Vega” studio experiment (an aural mutilation of Vega’s “Tom’s Diner”). This free COIL collection is mostly the result of receiving unreleased tracks, often as FLACs, from three very kind anonymous COIL associates/fans in recent times (my thanks to you all, chaps). The only humble aim of my curation is just to make as satisfying and listenable an ‘album-like experience’ of these Sidereal and experimental tracks as possible, picking some studio talk from Jhonn and Sleazy to place amongst them, and choosing a melancholic mood towards the end section of the 15 tracks. Link to the collection here. * “AMT #1” reassigned as “PRO #1” and “AMT #2 / AMT #1b” reassigned as “AMT #1b” on the “2002-07-26” table on the Fano 2002 concert page. * 2002-07-26 Fano PRO #2 officially surfaced. Thank you, Claus Laufenburg, Massimo Villani, and Stefan Beiersmann! * “M0, 720 x 576 AVI” source upgrade of AMT #1a and PRO #1 of Fano 2002 surfaced. Thank you, Claus Laufenburg, Massimo Villani, and Stefan Beiersmann! * LCA partner Stefan Beiersmann receives the “Alternative CSO” Black Sun Productions’ live Coil tapes for preservation. Over the next week, he transfers all 21 tapes. * 2003-07-12 Birmingham AMT #1 officially surfaced in full. Thank you, Michael Wild von Hohenborn! * Two additional pictures of Pierce Wyss and John Contreras and John Contreras’ recollections added to the 2001-06-03 Leipzig page. * Several images of posters, adverts, ticket stubs, and gigs added throughout the website, courtesy of Pete Greening and Greg Smith. * Programme and ticket pictures added to the Jesi 2004 concert page, courtesy of Halvard Haldorsen. * 2002-10-05 Greece AUD officially surfaced. Thank you, Chris and Patrick! * “AUD” reassigned as “AUD #1” on the “2004-10-23” table on the Dublin 2004 concert page. * 2004-10-23 Dublin AUD #2 officially surfaced. Thank you, Chris and Patrick! * 2001-06-03 Leipzig AUD #4 officially surfaced. Thank you, Chris and Patrick! * Another concert review added to “Background” section of the Lódz 2002 concert page. * “Coil Transmitter Stone #3” officially claimed by Chris and Patrick. 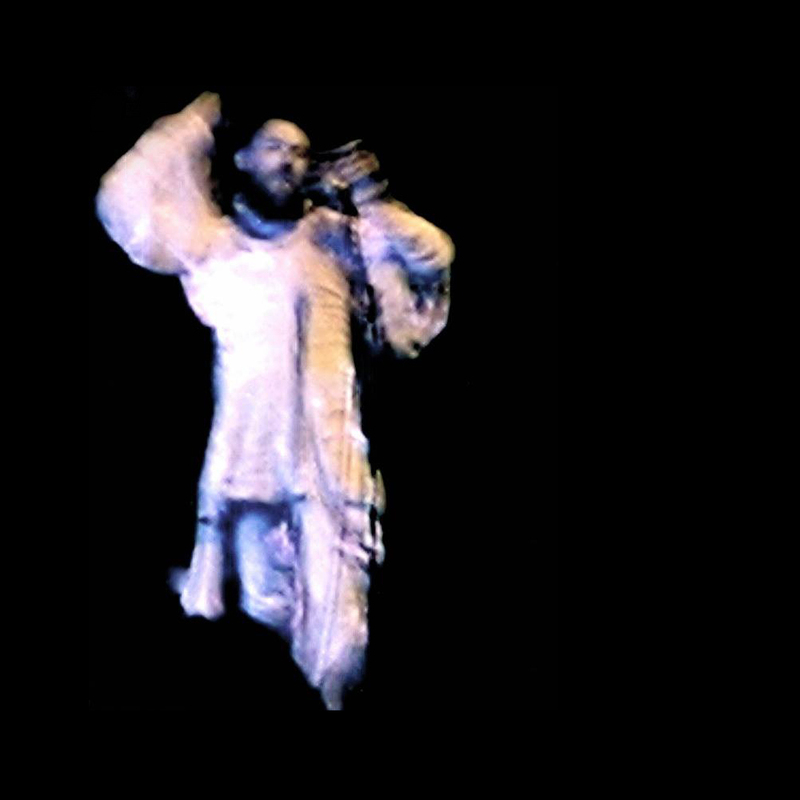 They have graciously shared AMT for the 2001-03-25 Nantes show. Download it here. * Threshold HouseBoys Choir 2009-05-15 Antwerp AMT #1 officially surfaced. Thank you, Anonymous! * Ticket scan, concert flyers, and review of concert added to the Antwerp 2001 concert page, courtesy of Carsten S.
* “M2, WAV” source upgrade of AUD #1a of RFH 2002 surfaced. Thank you, Pete Greening! Find it here. * “M2, WAV” source upgrade of AUD #1 of Megalithomania 2002 surfaced. Thank you, Pete Greening! Find it here. * Added “Interview” and “Radio Special” video links onto the Nantes 2001, Amsterdam 2001, Montreal 2003, Birmingham 2003, Dublin 2004, and Coil’s History 2004-2010 pages. A free fan-sourced EP release. * An 18-page ‘CD booklet’ pdf by Barrington Arts with liner notes of the ‘Lost Rivers’ studio sessions. * Sleeve art .tif file. This EP is the result of a Live Coil Archive website admin receiving a few unreleased takes and DAT master files as FLACS from a COIL fan, all taken from these Black Light District/COIL sessions. * Added “M_” lineage denomination and file type to each recording currently on the site, edited various bits of info attached to many recordings. * “Surfacing Chronology / Source Upgrades” section added to the Live Coil Archive website. * Further information added to “Background” section of Fano 2002 page. * 2002-10-12 Megalithomania AUD #2 officially surfaced. Thank you, Morgan Yew! * “Coil Transmitter Stone #2” officially claimed by Don Rubin. He has graciously shared SBD #1b (the full desk recording) for the 2002-04-13 Glauchau show. Download it here. 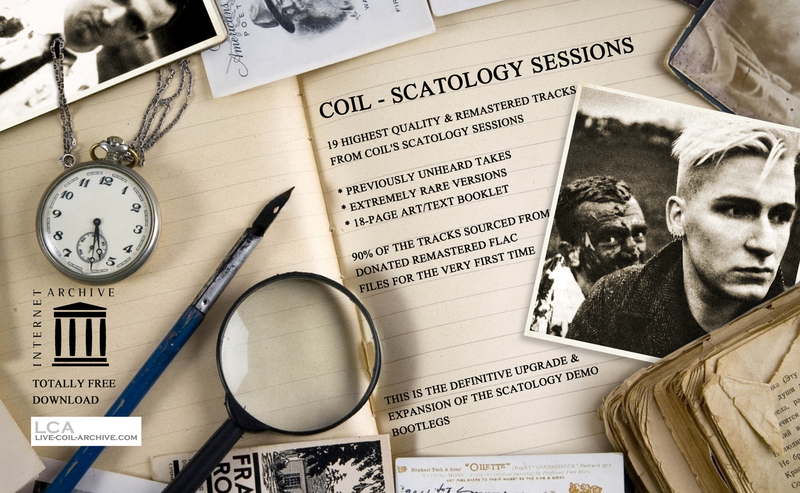 This brand new curated collection features 19 highest quality and remastered tracks from COIL’s legendary Scatology studio sessions. * Highest quality FLAC sources for previously leaked songs. * 18-Page Art/Text booklet specifically designed by Barrington Arts. 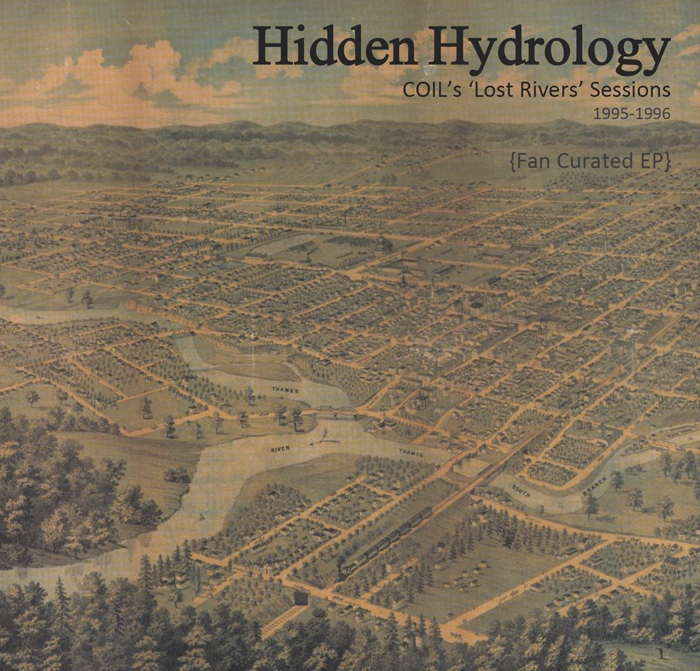 90% of the tracks are sourced from remastered FLAC files for the very first time, donated to the Live Coil Archive in 2017 for creative use by the LCA. The team at LCA sincerely extend our thanks to this anonymous donor. THIS IS THE TOTALLY FREE DEFINITIVE UPGRADE OF THE SCATOLOGY DEMO BOOTLEGS. If interested, see more details in the accompanying illustrated pdf booklet. 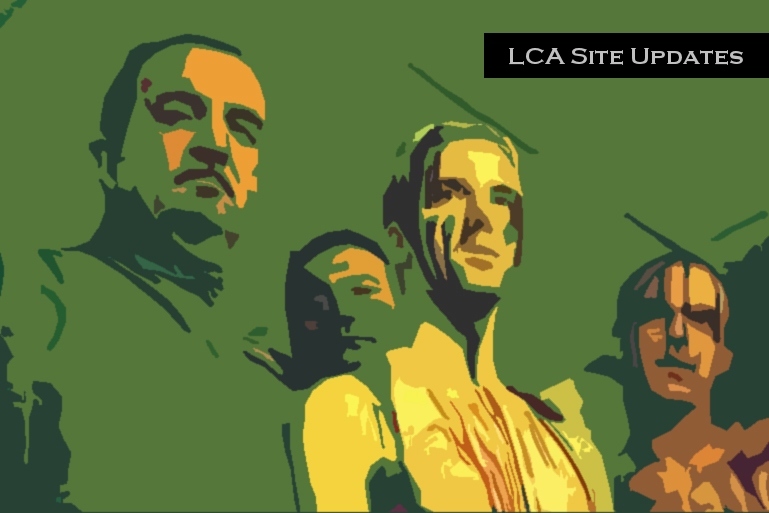 We at LCA hope you enjoy! * Reorganized “Background” section of every Concert page such that “Attendee Recollections,” “Gig Review(s),” and “Contemporaneous Interview(s)” are now separate sections. * Minor spelling errors corrected and minor additions throughout. * Morgan Yew’s concert recollections added to Megalithomania 2002 concert page. * “AUD” reassigned as “AUD #1” and “AUD #2” added to the “2002-10-12” table on the Megalithomania 2002 concert page. 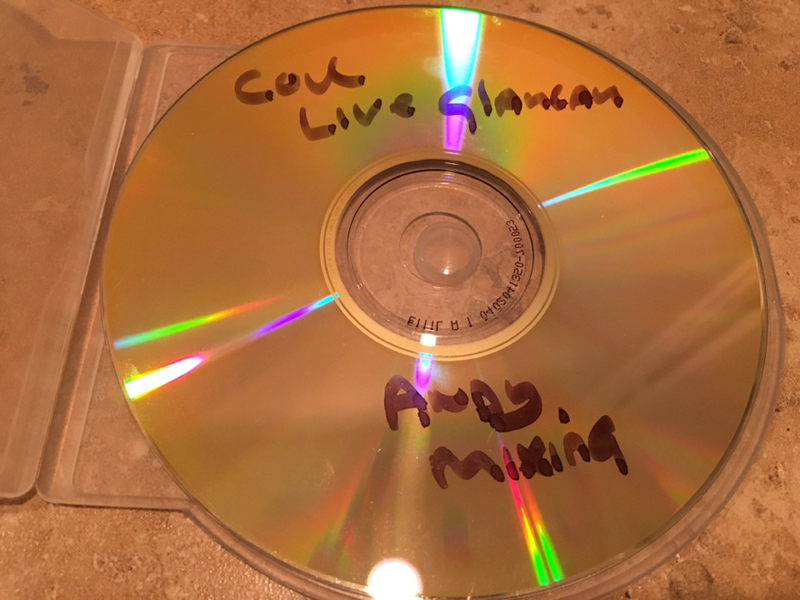 * Bootlegger’s note attached to AUD #1 of the 2002 Limoges concert added to the “Known Recordings” section of the page. * Ticket scan added to the Montreal 2003 concert page, courtesy of Robert Murphy. * Another concert review added to “Background” section of the Bologna 2002 concert page. * AMT #3 added to Paris 2004 concert page. * ‘Event Guide’ magazine DEAF poster for the Dublin 2004 Concert added. * Remastered Birmingham Supersonic 2003 poster (300dpi, 3500×2431 download link), originally created by artist Lucy McLauchlan. * Birmingham Supersonic 2003 concert booklet and newspaper review. * Further analysis added to “Setlist” section of the Fylkingen 2002 concert page. * Ticket scans added to the Vooruit 2002 concert page, courtesy of Michael Festerling. * “AMT” reassigned as “AMT #1” and “AMT #2” added to the “2002-10-26” recordings table on the Lódz 2002 concert page. * “How You Can Help” page updated with “Pictures” section. * New matrix mix added to Coil Archiver Youtube channel: 2002-10-05 Ydrogeios, AMT #1a + AMT #3 + SBD. * “How You Can Help” page updated with “Source Upgrades” and “Your Matrix Mix Requests” sections. * Extra introduction added to “Coil’s Final Days – The Death of John Balance” section of “Coil’s History 2004-2010” page. * Programme scans and ticket scan added to the Melkweg 2004 concert page, courtesy of Maarten HD. * Ticket scan added to the Lódz 2002 concert page, courtesy of Ninail. * Photographs added to the Jesi 2004 concert page, credited to photographer Dolma Alonso. 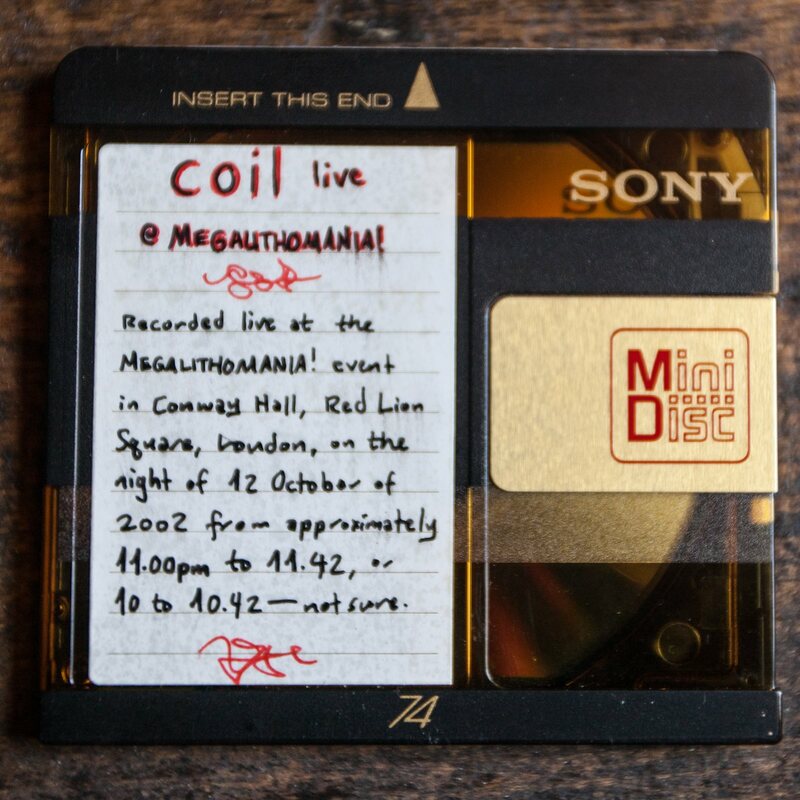 * “News” section added to the Live Coil Archive website. We will detail periodic updates and new recording surfaces from here onward.